I come from a family that LOVES to cook, but somehow because I wasn’t shown how to do some of the things that they were doing I felt inferior in my cooking skills. Oh I could cook up a good meal, but it was the small things that seemed totally overwhelming to me AND because they were so basic I was too embarrassed to ask someone to show me. So because I don’t want anyone else to ever feel that way, I have created this page with simple How To Cook Tutorials … Just for YOU! Enjoy and feel free to ask ANY QUESTIONS! 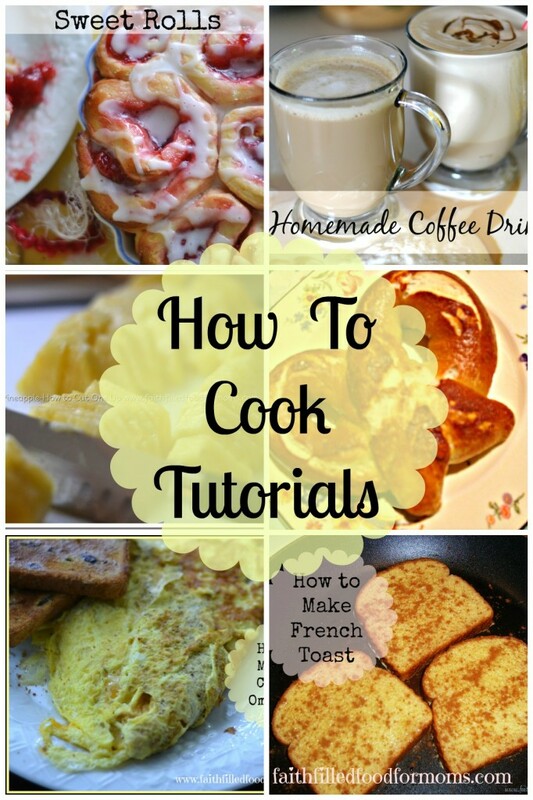 I have tons more that I will be adding to these How to Cook Tutorials, but what I would really love is if YOU told me what it is that YOU would like to learn. Take the plunge and Cook with Me!